Ned Marriner, the fifteen-year old protagonist in Guy Gavriel Kay’s tenth novel, Ysabel uncovers a startling discovery in an Aix-en-Provence cathedral. He is in the Southern France city with his father, a famed photographer who is shooting photos around the city for a new book. Upon his discovery, Ned gets drawn into an intertwining of family history and ancient Celtic and Roman lore. 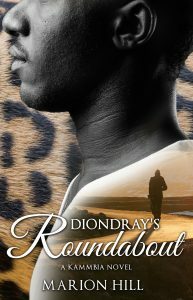 Kay’s limpid prose and skillful storytelling created an engrossing reading experience. 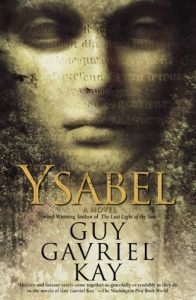 When Ned learned of his connection to the mythical figure of Ysabel, I was pleasantly surprised and satisfied how Kay brought it all together. 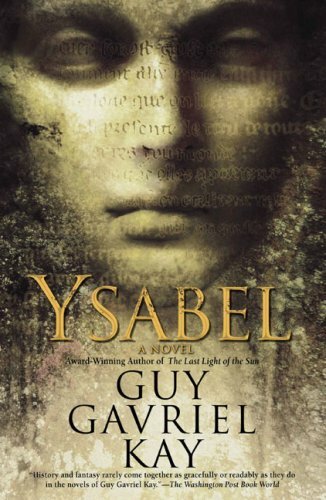 I will admit that reading Ysabel demands patience as Kay takes his time getting to the point of the story. However, his description of the setting in Aix-en-Provence has made want to travel to this city and see what gave him the inspiration to write this novel. Ysabel is excellent entry into Kay’s work and I highly recommend for readers who love a contemporary and literate fantasy novel that is steep in ancient mythology. Kay has carved out a unique niche in the fantasy genre and I can see why he has deserved his reputation as one of the best modern fantasists writing now.